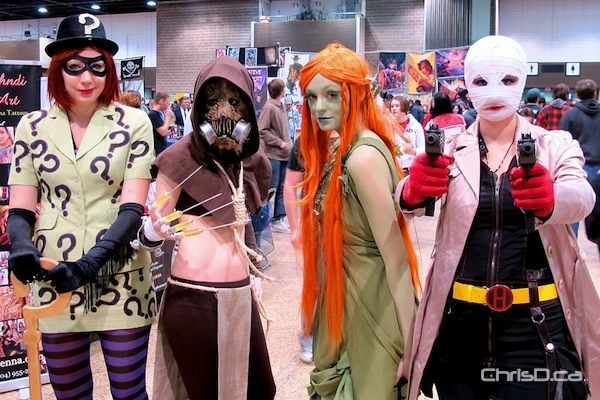 If may have been difficult at times to differentiate Halloween costumes from those attending C4 Central Canada Comic Con over the weekend, but both variety of outfits were nothing short of amazing. The Winnipeg Convention Centre played host to the annual sci-fi and comic book convention, featuring “Star Trek” celebrities William Shatner, Jonathan Frakes, Nana Visitor, Ethan Phillips, and Chase Masterson. Other notables included Kevin Sorbo of “Hercules” and “Andromeda” fame, Kate Vernon of “Battlestar Galactica,” and former professional wrestler Bret Hart.